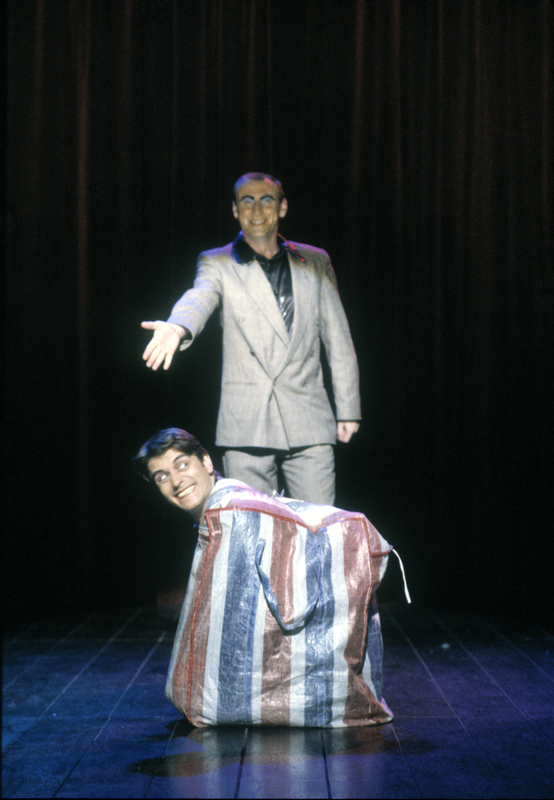 Forced Entertainment’s first theatre work for middle-scale stages is best described as a kind of disastrous vaudeville. 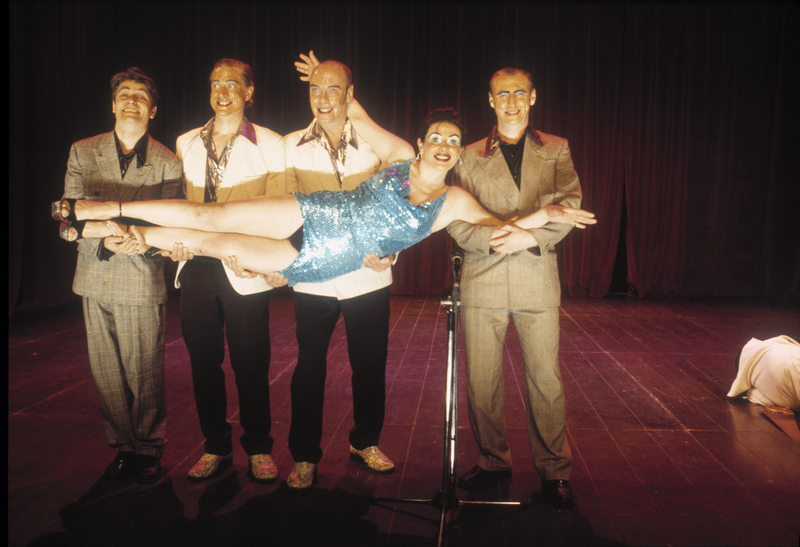 In it, eight performers stand before the audience in a line of dazzling smiles, dead eyes, sequined lycra, tottering heels and loud check suits. First Night begins with a grand welcome, but soon disintegrates into dark predictions of the future, psychotic escapology acts, unexpected dances and unhinged show-biz anecdotes. 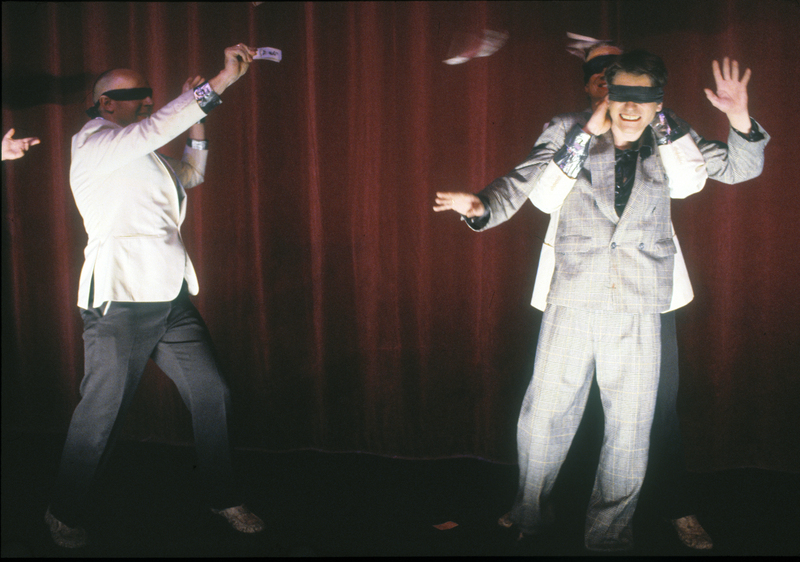 Like earlier works Showtime (1996) and Pleasure (1997), First Night concerns itself with the nature of the theatrical event itself, exploring what happens when it all goes wrong and when audience expectations are challenged or toyed with. "Diverting, accessible and viciously funny... just the sort of show that we should be seeing at the National Theatre." 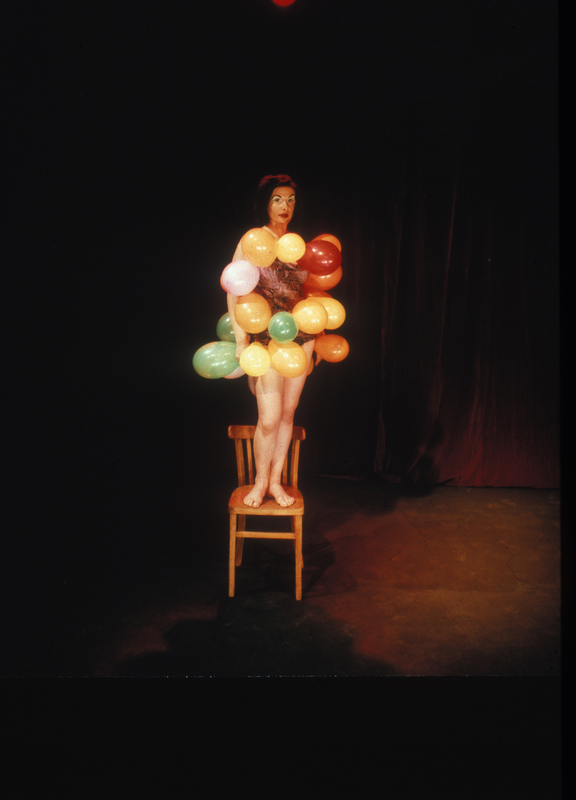 "A riotous treatise on the performer / audience dynamic." "A powerful statement of malcontent that boldly transcends the usual segmented live art venues and audiences. No more preaching only to the converted and the contextualised. This one goes out to all of us." #FE84 – 14, No. 24. #FE84 – 14, No. 26.